While planning and coordinating the perfect festive activity for the whole company can be a daunting task, taking note of a few helpful tips and tricks can ensure you plan an end of year celebration that will be the talk of the office afterwards for all the right reasons. December is one month of the year where everyone’s diaries almost certainly get booked up fast; both weekends and weeknights. Luckily, corporate celebrations are always high up on people’s priorities but that’s not to say you don’t need to get your co-workers committed quickly. Send out a few emails to get ‘feelers’ about what date works best for your colleagues and as soon as one is decided, get it marked on everyone’s calendar so the planning can begin without worrying about an empty guest list. There’s no point wasting time planning an open bar at the most glamorous rooftop restaurant in town only to discover that the entire budget for the event means it’s going to have to be more Happy Hour at the local. Find out how much cash you’ve got to work with from the very beginning and plan accordingly. Typically, workplace celebrations tend to take place in a local bar or restaurant or, rather tragically, the actual office. Why not think outside the box and do something a little different? Not all celebrations have to be focussed around excessive boozing. Cooking classes in London are a popular alternative to a boozy party, and can see you and your team learning how to cook culinary delights with top chefs and have a tasty meal to devour, rather than a grim kebab after too many vodkas. Unless your chosen venue is the pub by the office, chances are organising some transport will be beneficial for everyone; both financially and timewise. Look into how much booking taxis as a group would be, or even hiring a coach, and get the money prior to the party so you’re all free to focus on having fun, rather than worrying about who owes who what. Although technically in the name of Christmas, the annual party is also a great time to look back over the past year and celebrate any successes the business has had. Hold some awards, with a few tongue in cheek categories for fun, to recognise and reward those who deserve it for their efforts. If you’re not lucky enough to have the day off work after the event, ensure the office is fully stocked with all the hangover essentials you and your colleagues will need to help you get through it. Everyone will be very grateful of the crate of lucozade you forward planned and ordered to assist you over the course of the day. 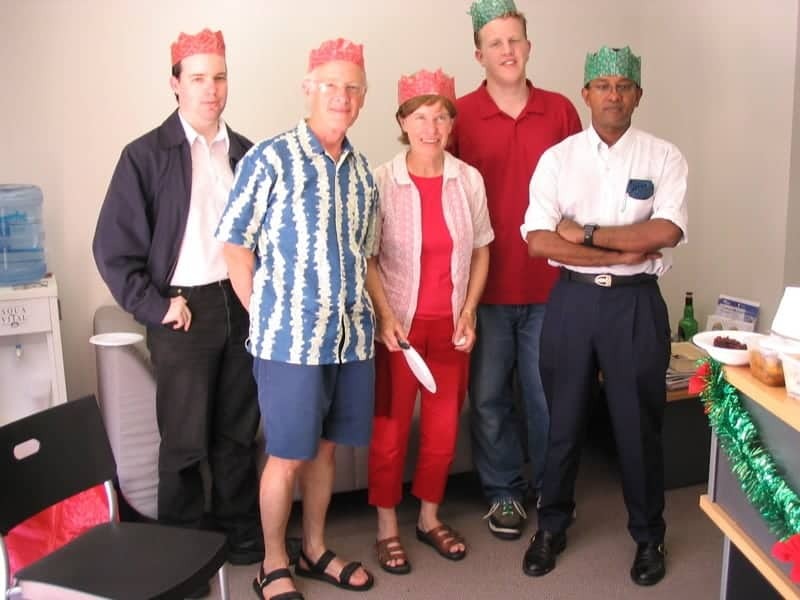 Featured image by Jeremy Malcolm – Office Christmas party. Released under Creative Commons License.